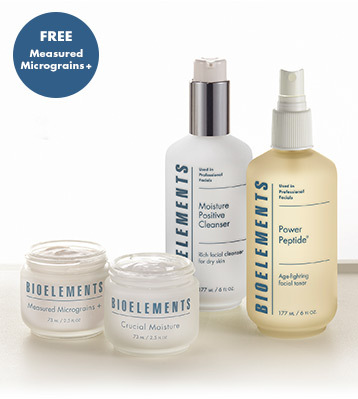 Bioelements Great Skin in a Box contains full sizes of the following essentials for your VERY DRY or DRY complexion. Follow this plan as directed for skin that looks young, healthy and great! 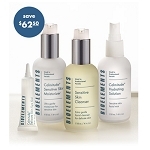 Cleanse skin AM and PM. Spritz on skin after cleansing. Use one to three times a week. Apply to wet skin avoiding the eye area, and gently massage. Rinse. Apply to face and neck every AM after Power Peptide (or directly after Measured Micrograins on days when you exfoliate).